One of the first important acts for the Government of National Unity must be to consider the creation of a special Ministry responsible for the Zanzibari Diaspora. Diaspora is one of Zanzibar's greatest offshore assets. The new Government of National Unity must realize the evolving important role of the Zanzibari Diaspora in the national development of Zanzibar.This importance is envisaged in the diverse sectors of Zanzibar such as Education,Health,Private Sector Development,Trade and Investment,Knowledge transfers,Image building,Culture development,Reconciliation,Community development,Remittances, etc. Academic – those who left for further education. Economic – those who left for financial reasons. Since the early sixties, hundreds of Zanzibaris have left their country each year in search of better opportunities else where. 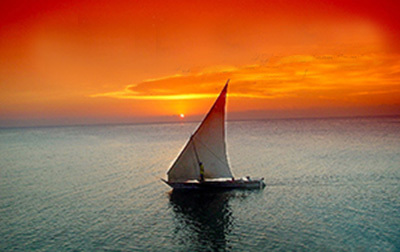 Today, there are thousands of Zanzibaris scattered around the Globe with concentration mainly in the Arabian Gulf States, Europe and North America. Many of them hold tertiary or postgraduate qualifications. Engaging the Zanzibar Diaspora is essential if Zanzibar is to enjoy lasting and sustainable economic development. In this regard, the new Ministry or perhaps a Directorate for the Zanzibari Diaspora should function as a dedicated point of contact for coordinating efforts to improve relationships with Zanzibari Diaspora, recognizing the enormous contribution being made by Zanzibaris living outside of Zanzibar, and harnessing their expertise and resources to develop agriculture, private health care, tourism, culture, sports and other aspects of Zanzibari lives. On the financial side, remittances by the Zanzibaris in Diaspora have proved extremely important both at the individual and national levels. Although there are no available official data on the amount of remittances contributed by Zanzibaris in Diaspora, nor there has been any serious attempt to measure the extent and value of their remittances to Zanzibar, however, remittances are known to have flown directly to all the segments of Zanzibari society, contributing extensively to poverty reduction and helping to pay for such basic needs such as housing, clothing, health, food, etc. for their families left behind in Zanzibar. Today, many countries in Africa are reaching out to the Diaspora. They emphases the need to capture the potential benefits that come from them. are doing this by changing laws, by facilitating and enabling remittances, and also by setting up Diaspora ministries or departments within governments. A good example of such effort is that of the neighbouring Comoros Islands, where according a 2004 World Bank report, the Comoro Diaspora which maintains strong ties to the Comoros remits over US$ 36 million annually, in addition to US$ 15-20 million in goods transfers. The Zanzibari Diaspora is a deeply committed, yet largely untapped source of innovative, entrepreneurial solutions to poverty and economic development of Zanzibar. It is uplifting that a good number of Zanzibaris Diaspora who owe their high quality education in foreign countries to scholarships and bursaries from home government, are now seriously seeking ways and means of giving back to their country. To recieve Newsletters in your email inbox, use the form to subscribe to Zandias services.